After much anticipation, Manu WorldStar has released the visuals for his 2018 anthem ‘Nalingi’. Without a doubt, the music video makes it to our list of Top 5 Best Music videos of 2018 (list dropping soon). 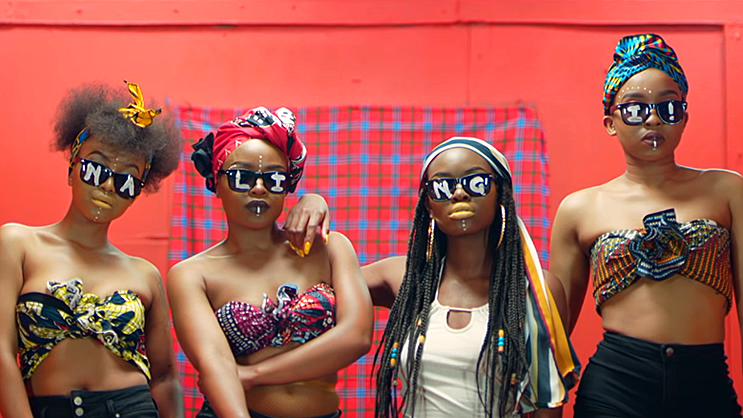 Manu WorldStar’s Nalingi music video is filled with surprise cameos; from the likes of songstress Thabsie, to Somizi’s daughter Bahumi, to the Punchline Media crew – Deexclsv, Luna Florentino and Tony X, to Music Unscripted and Slikour On Life’s Precious Nkadimeng aka Spoken Priestess. The video was shot in Johannesburg and was executive Produced by his Vth Season and Punchline Media management team namely: Raphael Benza, Ninel Musson and Shingai Darangwa.